Are you looking for La-Z-Boy Free Design Service reviews and testimonials? 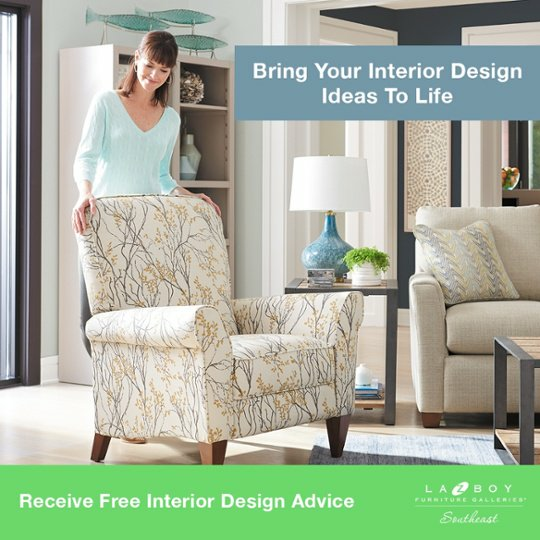 At La-Z-Boy Home Furnishings & Décor, our degreed interior designers have completed thousands of living room, dining room, and bedroom projects. We’re happy to help whether you’re building a new home or trying to make your existing furniture layout more comfortable. 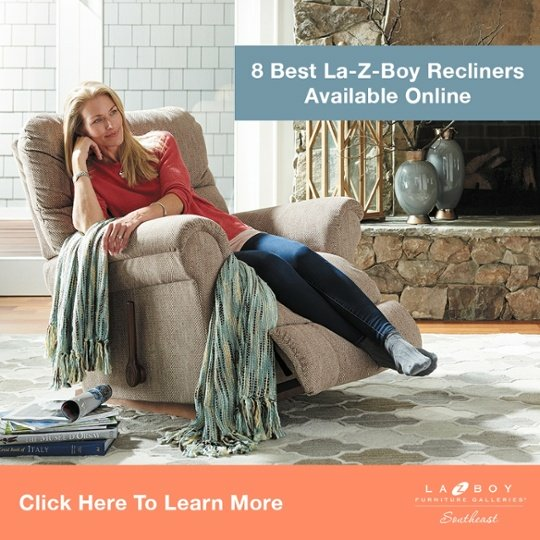 In this article, we’ll take a look at reviews and testimonials from customers who have worked with the La-Z-Boy Free Design Service. 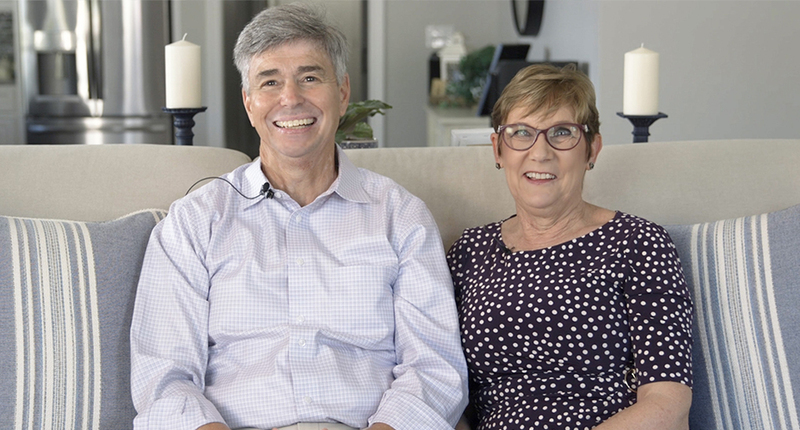 While their new home was being built, Jay and Joyce decided to visit their local La-Z-Boy Home Furnishings & Décor in Augusta, GA. They were initially looking for recliners that don’t look like recliners because they didn’t want to buy something their father would sit in. When they were introduced to our free design service they were excited to see what we would come up with for their whole house. Joyce and her daughter picked out their sofa. Then our interior design experts helped them pick fabrics and plan the rest of their new home. We took the blueprints for their house and put together a 3D room plan to give them a first look at how everything would look. Now, their new house is built, furnished with La-Z-Boy Furniture, and feels like home. When Linda walked into her local La-Z-Boy Home Furnishings & Décor, she immediately knew this is where she’d find what she was looking for. Linda’s favorite part of our free design service was when we presented the 3D room plan for her living room. We asked her to wait upstairs while her new furniture was unboxed, put together, and placed in her living room by our delivery team. When Linda walked downstairs and saw her new living room for the first time, the look on her face was pure joy. Shirley is an art director with an excellent sense of style. Plus, an eye for unique pieces. Her house accumulated many beautiful pieces throughout the years. However, she needed to create a space her grandchildren could play in. We worked with Shirley to incorporate her existing furniture into her new living room and bedroom designs. Now, she has a comfortable living room where her grandchildren can play without having to worry about spills. And her bedroom has been transformed into a quiet oasis that showcases her fantastic sense of style and eccentric furniture pieces. Working with a La-Z-Boy Interior Designer is fun, easy, and gives you peace of mind. We are a resource to help you bring your vision to life. 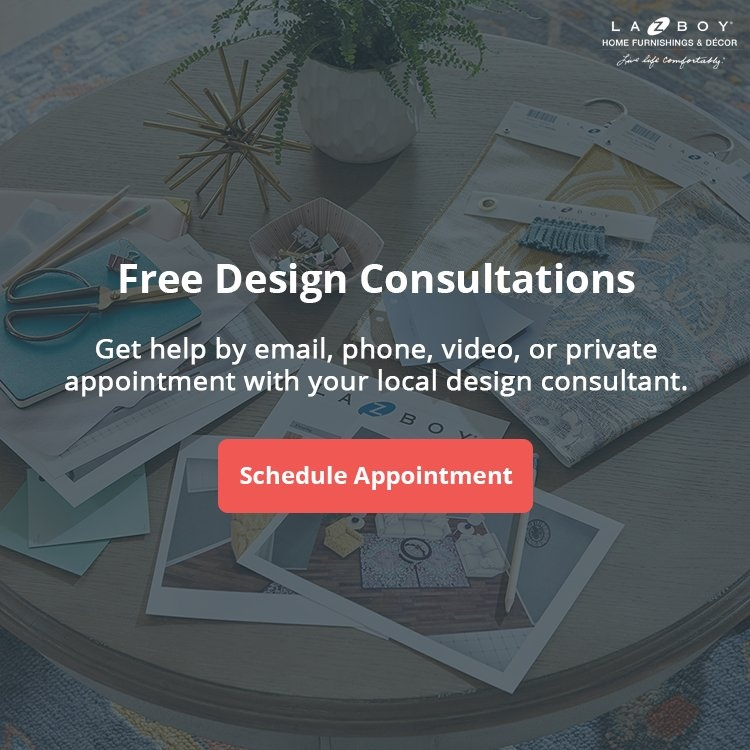 You can get started with the La-Z-Boy Free Design Service by booking an appointment online or visiting your nearest location. We’d be happy to help you bring your dreams to life at any of our locations in NC, SC, or GA.